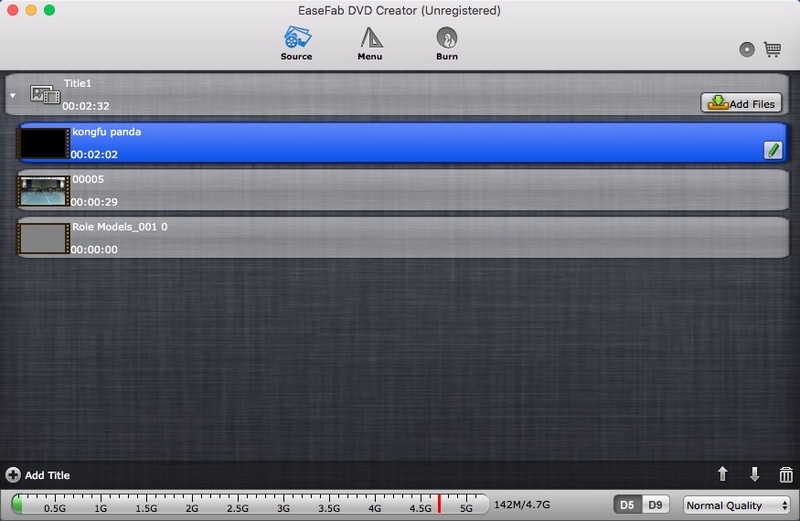 How to use EaseFab DVD Creator for Mac? 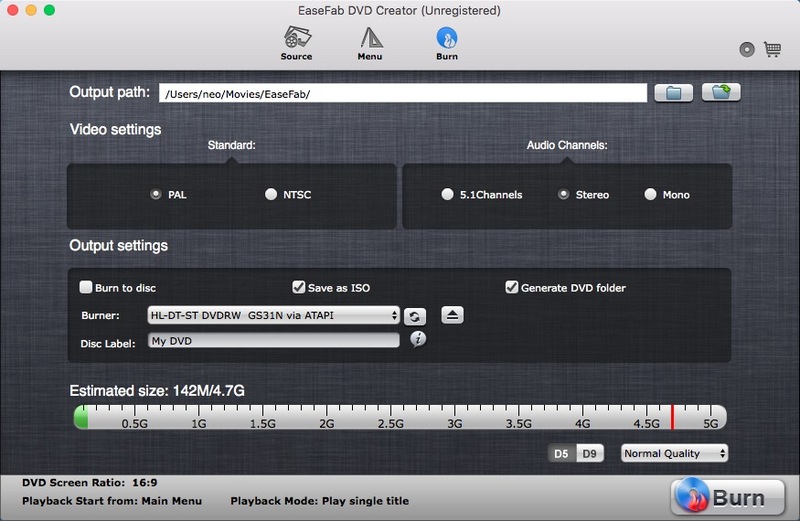 After the download and installation of EaseFab's trial version of DVD Creator, you can simply follow the steps below in order to make and burn your DVD. 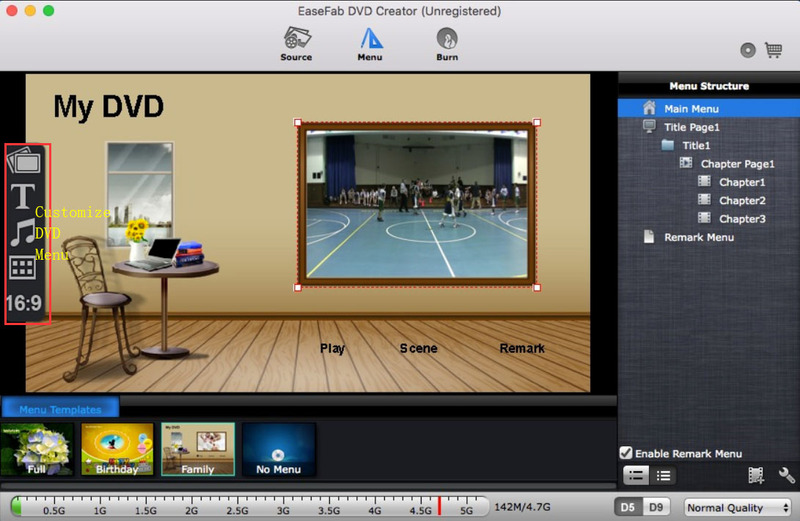 Click "Add Files" button to add video/photo files into the program. Please repeat the steps if you wish to add more files. Click the 'Pencil' icon or highlight and then 'right-click' to access it's editing options. 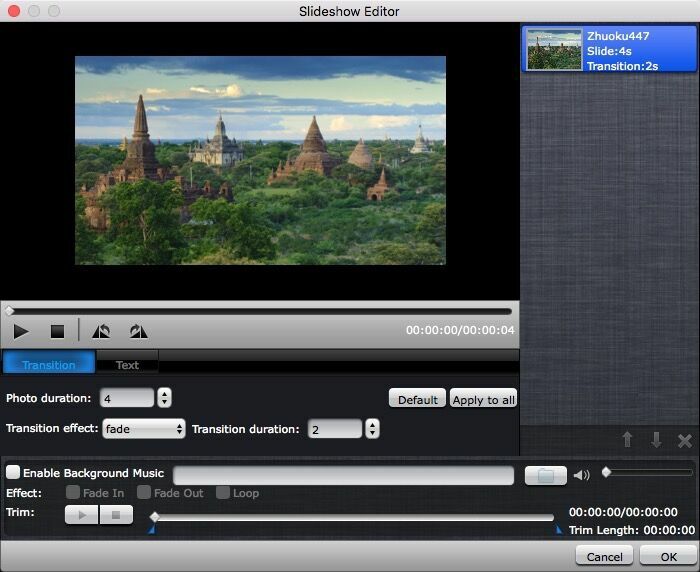 In Video Editor there are six editing features available: Trim, Crop, Text Watermark, Image/Video Watermark, Effect, and Audio Replace. 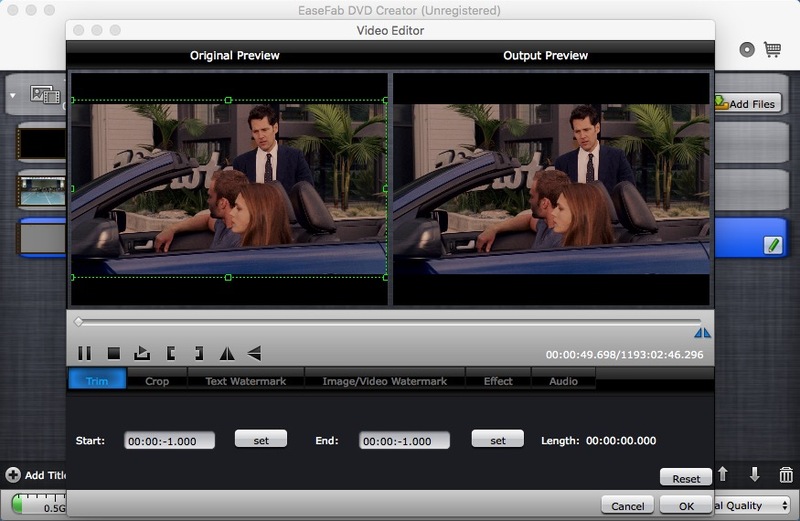 Click on the tab to switch among editing facilities. Besides being able to rotate the photos the way you like it to be, you can add text, apply transition effects as well as music! Switch to "Burn" screen when you finished authoring DVD and feel like to burn created DVD-video onto a writable DVD (or ISO image) that will plays on standard DVD player after burning. Simply check "Burn to disc" box and click the "Burn" button to burn created movie to blank DVD. 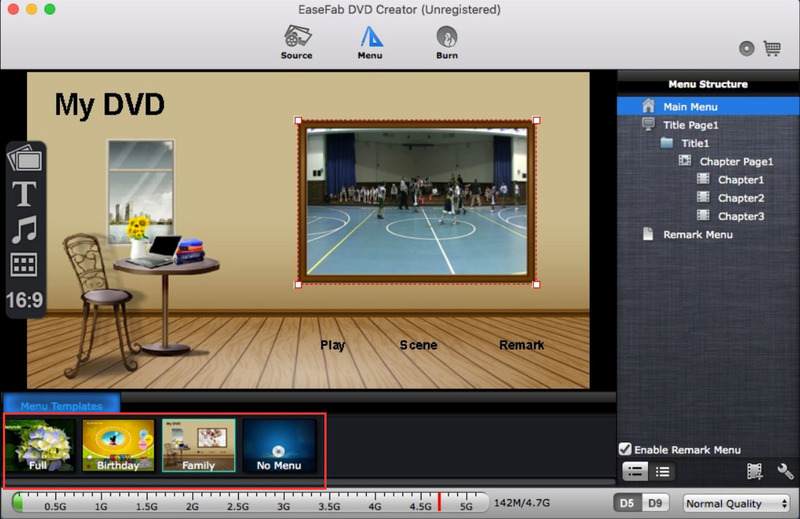 To make created DVD-video into ISO file, check "Save as ISO" box and click the "Burn" button. To create a DVD file structure that includes menu, check "Generate DVD folder" and click the "Burn" button.